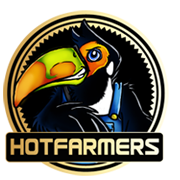 Hotfarmers.pl is one of many Bigpoint fan sites. We have been present for over a year. Our mission is to present information about Bigpoint games and integrate the community gathered around the games. Hotfarmers.pl is not an organization that gets profits from activities. 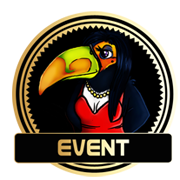 Any advertising revenue, VIP accounts and other services are spent on current operations (server, domain), and for the prizes to users. Some owners of books, movies, games and other intellectual property assets attempted to shut down unofficial sites by intimidation. It didn't last long, and (as you would expect) it did far more harm than good to the commercial goals of the copyright holder. Some time ago Bigpoint company support the existence of fan sites and sharing materials for their creators, for example - here or here. However, they recently turned away form supporting fan sites in Poland. Now on the Polish official Bigpoint board is forbidden to even posting links to such sites. They decided it would be a good idea to set up a programme for "official Bigpoint fan sites" (letter here). Webmasters were to sign an agreement to never say bad things about Bigpoint, censor users that write negative things, and were restricted to using only officially approved images. The unspoken implication was that fan sites that didn't sign up would be vulnerable to legal challenge. Hotfarmers.pl fan site didn't agree with the terms of that ultimatum. We cannot agree to censorship and restriction fundamental rights (including freedom of speech) - both our own and our users. Hotfarmers.pl tries to be objective at all times. Obviously we're huge fans of Bigpoint games (for example Farmerama), and much of what we have to say is positive or at least balanced. However, we have the courage to speak ill of Bigpoint. Overall, we believe we're a "very good thing" for Bigpoint, and as such we hope to avoid their ire. But just to be sure, we also work hard to keep things legal. Fortunately, the concept of Fair Use is well established in U.S. law, and Hotfarmers.pl is one of a huge number of fansites which are protected by this concept. 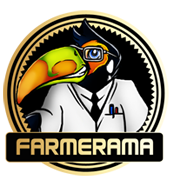 Specifically, Hotfarmers.pl's content falls into a number of different categories which generally enjoy protection under Fair Use. Our primary goal is to present reliable information about both the facts, as well as "rumors" about the games, game updates, news in games, and the products and services related to gaming. Any information submitted through the portal is provided with appropriate commentary (or graphics), which allows its unambiguous classification. Presented information don't violate trade secrets and are derived from publicly available resources of the Internet. We respect the right to freedom of expression and speech. Each user has the right to freely express themselves on the pages of the site, as long as those statements do not violate the law and are not contrary to the site Rules. The right to critique and discuss the books, games and movies is long established. 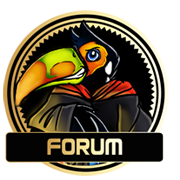 One of our goals is to gather information about the game, to rate updates and development direction of the games. Naturally, the writer of the review describes elements from the game in order to discuss them in context. When the review is especially detailed, then the associated description of the game will also be more detailed. We actively provide information to assist site visitors in purchasing services in the games. We have a strict policy on pictures and graphics. 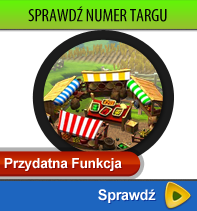 Hotfarmers.pl shows generally direct "snapshots" from the games, graphics of gaming items (original and modified) and other graphics that are already placed on freely-available, public places by the owner of the source material or third parties. For that places are also included servers with open access (no authentication). We don't store any licensed materials on our servers. Under no circumstances would we reproduce a significant part of any copyright work. Kuracja leczeniem trądziku różowatego nie istnieje uzdrawiana oraz najprzyzwoiciej istnieje wymierzać poniżej w stosunku do złagodzenia ilości zaczerwienienia mordzie oraz metamorfozy zapalających, zminimalizowania wartości, czasu obstawania oraz mocy torsji natomiast paralelnych zwiastunów świądu, parzenia i afekt. Dwa zasadnicze algorytmy leczenia trądziku różowatego to miejscowe tudzież http://www.korczyna24.pl/acnerose-polska,f106 ustne leki antybiotyczne. Rehabilitacja laserowa uległaby i przyporządkowana jak forma leczenia. W ciągu podczas gdy w cugu kilku tygodni specyfiki cyklicznie wywołują nietymczasowego pocenie się, zaczerwienienie tak bywa wraca po zabiegu. Przeciągłego kuracja, na ogół od czasu pewnego aż do dwóch lat, przypadkiem biec aż do ondulacji rewizji poziomu przy poniektórych pacjentów. Trwałe leczenie istnieje cyklicznie konieczne, niemniej jednak poniektóre wypadki wymiękają po pewnym czasie tudzież egzystują trwale. Obce przypadki, pozostawione bez leczenia, pogarszają się pospołu spośród przeciekiem terminu.